These images are enough to put anyone off their box of doughnuts. It’s probably just as well – as they’ve been created to warn us about the long-term impacts of having too much sugar in our diets. 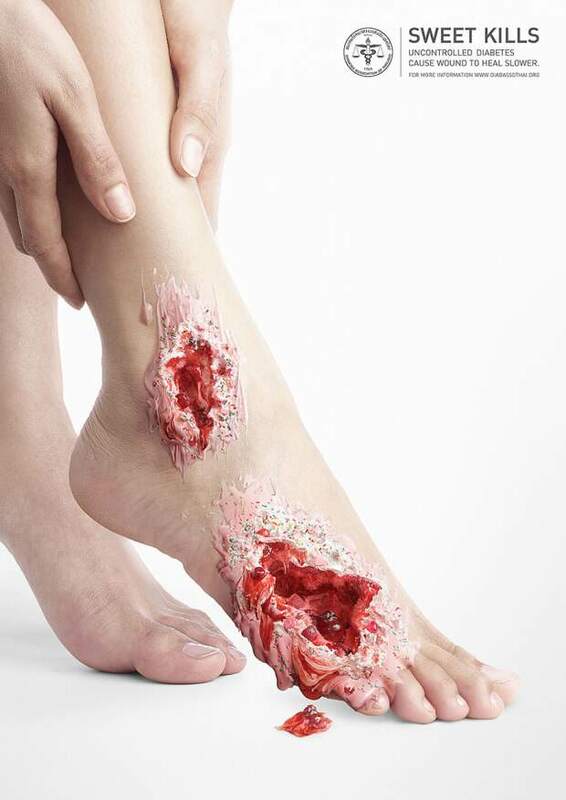 Sweet Kills is a new awareness campaign, created by Nattakong Jaengsem, a Thai designer based in Bangkok, to show the true extent of the damage sugar can do to our health, reports Ufunk.net. One of the most serious conditions linked with too much sugar is Type 2 Diabetes. The illness can have long-term side effects including nerve damage and poor circulation, which reduce the body’s ability to detect infections and slow down the healing process. In other words, a diet too high in sugar can lead to ulcers, infections and ultimately, amputations. This is where Jaengsem’s grisly images – created in collaboration with The Diabetes Association of Thailand, come in. He has recreated diabetes-related complications using the same sugary sweets that cause them. 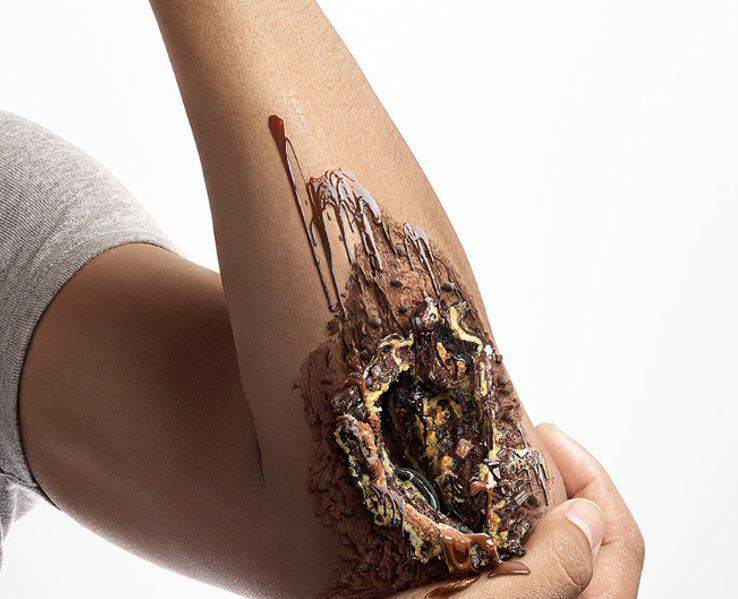 It’s fair to say that normally delicious looking caramel, melting ice cream and dripping chocolate are much less appetising when they’re oozing out of an infected wound. I’m not sure I’ll be able to look at an ice cream sundae, a chocolate brownie or even a walnut whip in the same way ever again. More information on the causes and complications of Type 2 Diabetes can be found on the Diabetes UK website.